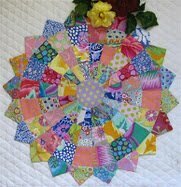 Lurline's Place: An Invitation - 2012 Sew Scraps Along! An Invitation - 2012 Sew Scraps Along! I'm thrilled to be able to welcome you to join in Jodi's 2012 Sew Scraps Along - please click on her button just to the left here! Thank you for choosing me to participate by selecting my Tutorial Dresden Plate, Jodi and it is a wonderful to see any newbies who drop in, thank you too! 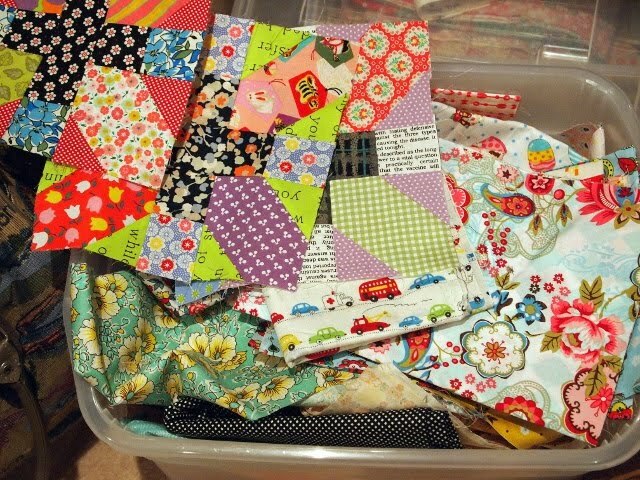 I'm happy to show you my scraps - well, partly my stash because I do tend to work with the smaller cuts of fabrics. The Dresden Plate was made with Kaffe fabrics, just love his creations and now I am working on my current unnamed project using some gorgeous Keiko Goke fabrics and a few plains. Here's a few more - I love whimsy too! My kinda scraps put to use below! I'm thinking, as Nanette of Freda's Hive has done previously (dam! I just cannot set up links at the moment! Please check Nanette's blog on my Sidebar!) I'll have a lovely Giveaway ending Sunday 15 January and let you know who's lucky next Tuesday the 17th. 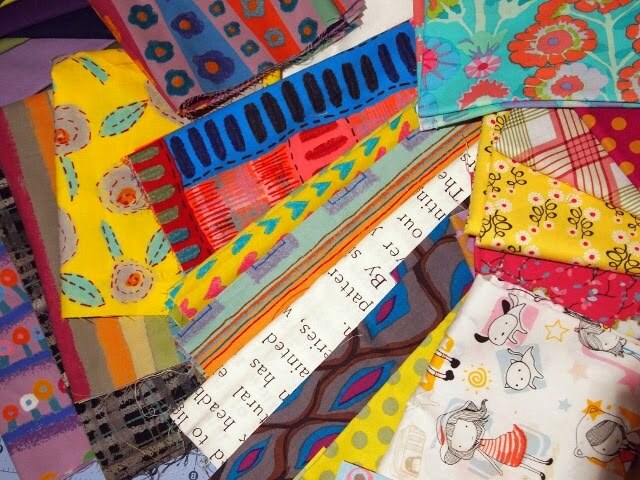 I do have lots of lovely reproduction fabrics - if these are the fabrics of your choice, please mention. I'm flying on a wing and a prayer here - have not been known to be faint-hearted! 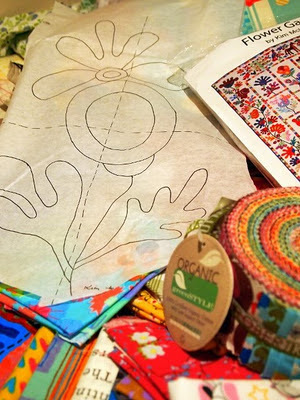 - my intention is to make a nice, small wall hanging for a winner - if it isn't finished by close-off, it will be soon after and those dear Posties keep delivering. I love applique and also Kim McLean's gorgeous designs. So looking forward to your visits to Jodi's Pleasant Home and to My Place too! I may post again on this subject soon to tie up any loose ends - to join in for the Givaways, please Comment on this post! I always enjoy your projects and your use of color! Thank you for sharing your gift of quilting with me...and everyone else. Oh what beautiful eye candy! I am not quilting at the moment, so I'll just enjoy watching you and the others. But boy, it'll be fun to watch! And I love giveaways! It's such a wonderful gift if I'm the lucky winner! I would rather sew with scraps than anything else. Have started the Dresden plate and it gets worked on off and on. Am loving that picture, second from the bottom. Is there a name for it? Thanks for letting me enter. Your blog is always so colourful and lovely! Very inspirational on a very grey cloudy UK winters day! After working on Bonnie Hunter's Orca Bay mystery quilt, my small bits of scraps are very much depleted. Thanks for a chance to win some more. I have made some placemats with the Dresden pattern and I put felt on the back. It washes up very easily. I made your Dresden Plate and love it. Now I want to do your other blocks. I love them. As usual Lurline, all your fabric choices are lovely and I do love your Kaffe creations, such bursts of colour..
Lovely colourful blocks Lurline! Love those fabrics. Beautiful fabrics and blocks.I love scraps. Love the scrappy dresden tutorial. i can't wait to try it. I went to see the tutorial and it is such a smart idea. Thanks for sharing it. Wow, so many scrappy projects! I keep seeing things I want to try ... when I get something finished. I love your dresden plate! I can't wait to make one! THank you for the inspiration! Lots of lovely colours and inspiration. 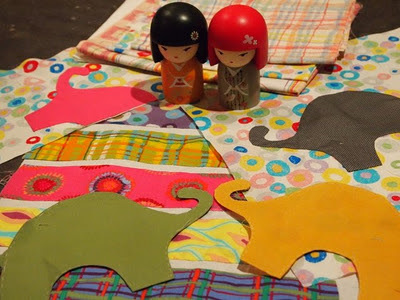 Such a lovely post fo beautiful happy blocks..
Wow - Keiko 's fabrics really knock my socks off though I love reproductions, too. I always enjoy seeing what projects you're working on; your color choices sing. So many fun fabrics and projects!! Makes my head swim! Love your Dresden plates! Clever of you to make your own ruler. Hope some one will soon sell one like yours. I love coming over to have a look at your blog, always so colourful. Thanks for the very generous give-away. Your Dresden plate tutorial is great- very informative and easy to understand. 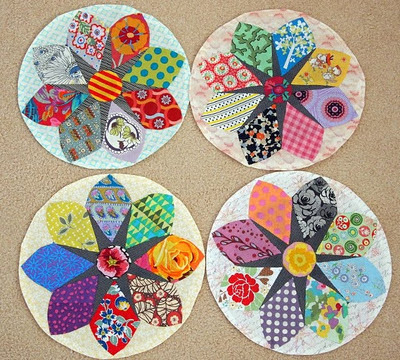 Love your scrappy Dresden plate, and so nice of you to share your tutorial. I normally use repros but am loving the look of your blocks. I'm making a wall of small quilts and would love to include yours. Thanks for taking the time to offer such a nice giveaway! Bright and beautiful fabrics are so fun to work with! Your Dresden Plate is so pretty! Love your colorful fabrics!! Thanks for the generous giveaway! Wow you always make such gorgeous quilts! Love the bright scraps, they are so chearful. ooh I love your blog and would love the chance to win the wee quilt, and I'm sure I could find the perfect spot for it too. Keep up the great blogging. Scrap projects are lots of fun and yours are gorgeous. Love the bright colours and round is very good. I love scrappy and your plates are so fun! Thanks for the tutorial! Hi Lurline - you are always a hive of activity - and such gorgeous use of colour!!! Hope you are feeling a little better and that you have a great 2012. I adore your dresden plate, and your scraps look so pretty, I need to make more quilts so I have more scraps (as opposed to just large pieces of fabric I can't bear to cut LOL!). and you know i love scrappy quilts !!!! Happy and Healthy New year to you and your DH....let it be a year for you to find many hours in the sewing room happily quilting away. Lurline, your Dresden plate block is lovely. I can see that I am definitely going to have to try that. The different fabrics look fabulous. 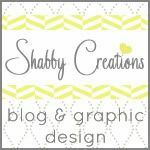 Must pop over to Jodie's blog and peruse. I love scrap quilts and rarely make anything else! I think I'm bipolar when it comes to fabric choices -- I love both repros AND brights! Scraps and vivid color and vintage patterns, you have a real gift that blesses us all with fabulous inspiration. Thank you for sharing! Oh my Lurline you are up and running and look how busy and productive you have been! Good for you! thanks for the chance to win your giveaway, what lovely things you have to share! Scrap quilts are my favourite, and your photos prove how wonderful the blocks look when a lot of different fabrics are mixed together. My fabric preference is reproduction, but really, I love everything. I've been checking out Jodi's scrap along and once I finish a Christmas quilt that I promised myself I would finish this year, I'll be scraping along with everybody. I love your blog, which I have only just found. Making things from scraps just gives me a thrill, so at some point I am going to make your Dresden Plate block..it's stunning. Thanks for sharing. Your dresden plates are beautiful enough to eat off!! Lovely colours as usual. 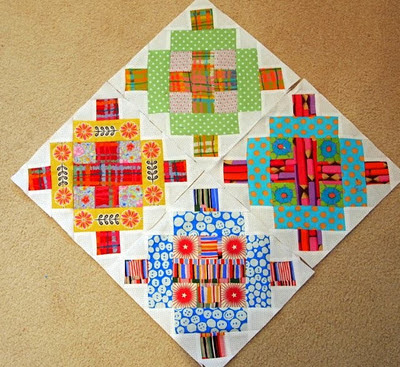 Love all of your scrappy blocks, especially the dresden plate.